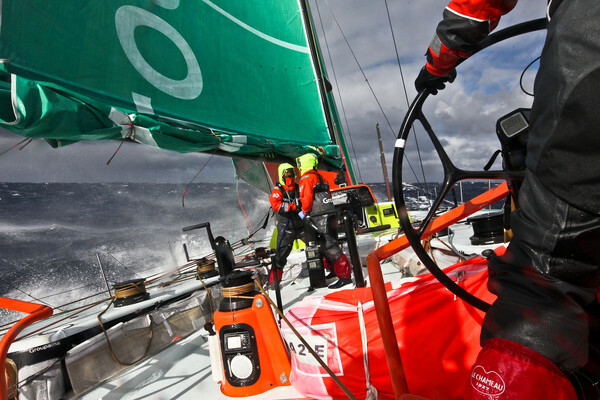 Groupama sailing team have claimed the Leg 5 lead after CAMPER throttled back to repair damage in the Southern Ocean, with worsening Southern Ocean conditions forcing all the teams to play a percentage game. 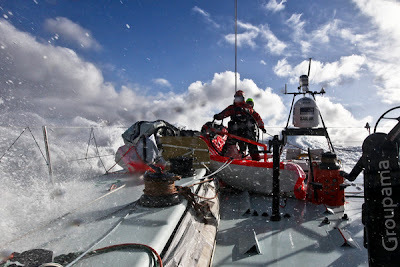 The fleet has been menaced by the Roaring Forties with winds gusting in excess of 45 knots and waves of 10 metres, giving a sense of plummeting off a two-storey building when the boats inevitably fall off the back of them. 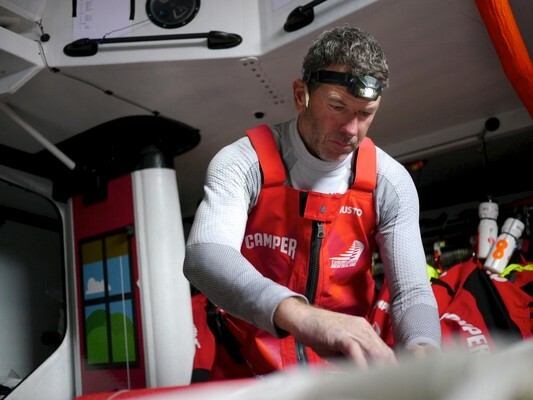 Few have suffered more than CAMPER with Emirates Team New Zealand, who were forced to slow down to repair bow damage sustained after falling heavily off a wave and delaminating a forward structural beam. 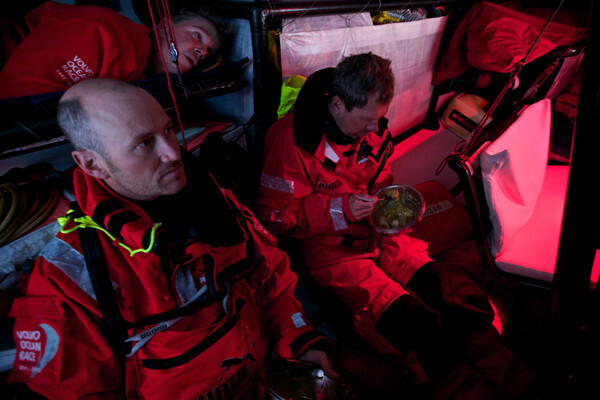 Skipper Chris Nicholson sent a reassuring message that the crew was safe. Groupama pounced on the opportunity to steal the lead, taking pole position at around 2200 UTC on Friday. In the last 24 hours they have clocked up 480 nautical miles. Helmsman Laurent Pagès said it was tough to maintain strength and concentration in the face of the ferocious conditions. 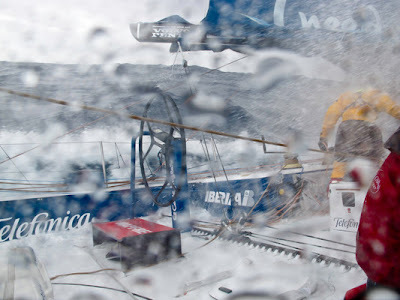 Team Telefónica have slipped into second place, 18 nm behind Groupama. 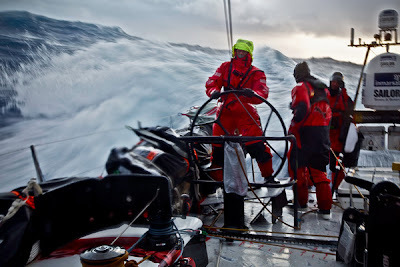 Navigator Andrew Cape said it was now a game of percentages as the teams try to strike a balance between speed and self-preservation. “We’ve been reaching, but to a larger extent surviving,” he said. “We’re at about 90 per cent of our capabilities. We’ve got a bit in reserve. In third position, PUMA Ocean Racing Powered by BERG navigator Tom Addis said his team were pushing at about 85 per cent. “With 30 knots of breeze in flat water these boats sail incredibly fast, but when you’ve got waves crashing over the deck you have to back off a bit,’’ he said. CAMPER remain in fourth place, way ahead of fifth placed Abu Dhabi Ocean Racing, who trail the leaders by more than 600 nm. 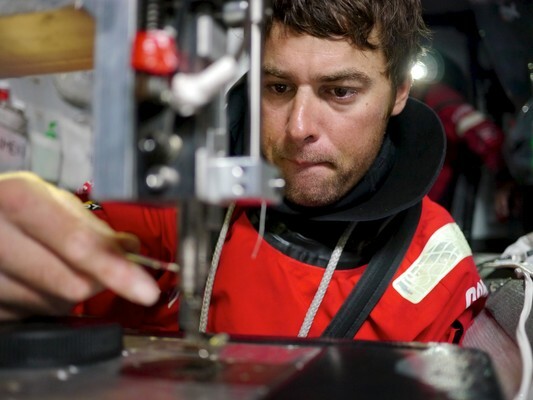 Abu Dhabi skipper Ian Walker said he expected his team would languish in two more days of light wind before reaching true Southern Ocean conditions. 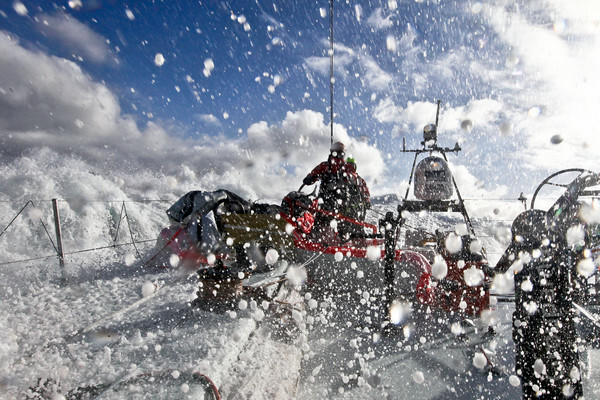 “Not exactly the Southern Ocean at its best,” he said. “But, you have to be careful what you wish for down here. I suspect the fleet is complaining of too much wind right now and wishing for a light spot. 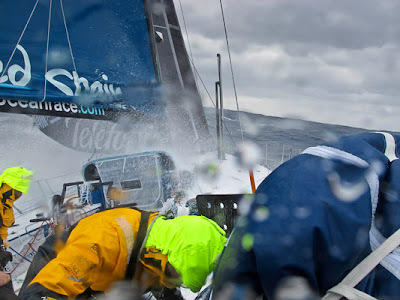 Team Sanya continue to trek to Tauranga in New Zealand where they will assess their damaged rudder and their best chance to return to the race. Conditions are expected to worsen over the next 24 hours, according to Volvo meteorologist Gonzalo Infante. 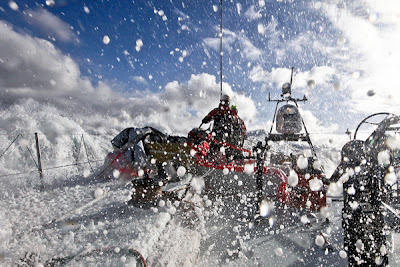 The fleet will fall in the western and most violent portion of the Southern Ocean low, which will pack gale and storm force winds with gusts up to 55 knots and waves in excess of nine metres. 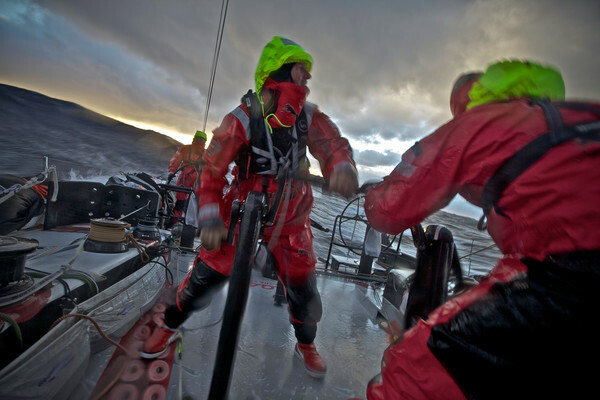 The conditions are expected to remain severe until the fleet passes Cape Horn.